260 years ago Lisbon suffered a devastating 9.0 earthquake. It changed one of the richest, most powerful cities and the country of Portugal forever. Over 40,000 people died (20% of the population) 80% of the buildings were destroyed and it changed the course of history in many ways. This last week we have been witnessing the horrible effects an earthquake can have on a country. Nepal is suffering, please contribute to one of the many charitable organizations helping to ease their pain. The Red Cross - Nepal Earthquake Relief redcross.org are two good organizations. We spent Spring Break and Easter in Lisbon. Lisbon has become one of the "Go-To" Capitals of Europe for low-cost weekends and getaways. Lisbon is one of the oldest cities in Europe dating back to 1200 BC. With so many years of Kings, Romans, Moors, Castles, Palaces, and Explorers, Lisbon is as rich in history as one of their famous Nata Custard Desserts. The Portuguese LOVE their sweets. 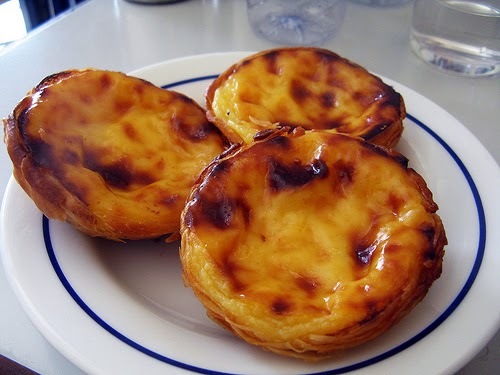 whether it be a Pastry, Wine, Port or Liqueur, your blood sugar will definitely rise in Lisbon. We can't possibly cover Lisbon in this one post, but perhaps we can convey what a special Capital city it is, and hope that you are able to visit it. Getting around in a car is difficult in Lisbon, so we parked the car and circumnavigated on foot, trams, and buses. We were lucky to have daughter Renata join us - and since she is an explorer in her own right, steered us around the city. ...Almost there, keep climbing Rich - the streets are narrow and this couple wants you to get out of their way! Happy Hour - Finally!!! !....15,000 steps later, we found The Porto Wine Bar! We had the popular "Vinho Verde" - a green wine (green meaning young grapes) and the traditional grilled chourico sausage. ....and enjoyed another Happy Hour with the crowds and music on a glorious warm evening with a sun setting over the "25 de April Bridge" that reminded us a little of the San Francisco Golden Gate Bridge! Our apartment was in the neighborhood of the "Bairro Alto"... A bohemian district full of artists and writers that is quiet during the day and very vibrant at night. Pictured above is the night life. We enjoyed listening to Fado (they say it is the oldest urban folk music in the world) and eating Seafood Cataplana, both are important traditions to Lisbon and Portugal. It was a great evening! Our tiled apartment we stayed at for 2 weeks - we were on the top floor (no elevator) guess who carried all the luggage up?? The Pasteis de Belem - the only bakery where people will stand in line for a tart...the power of Trip Advisor reviews! ...Rich refuses to stand in line when this Lisbon chain bakery next door "A Padaria Portuguesa" has Nata's and Pao de Deus that taste even better! Of course there is much more to Lisbon than this, but we hope we gave you a little taste! ADEUS for now, our next post will share the magic and history of Sintra and Evora! !